Dr. Mazi is the owner of Apple Dental Center. He established Apple Dental Center in 2001 and has had continuous and remarkable support of the community ever since. His passion for his work stems mainly from the positive energy he receives from his satisfied patients and knowledgeable staff. Dr. Mazi finished his D.D.S. degree from University of California San Francisco. He is fluent in English, Italian, Farsi and can speak some Spanish. His experience, caring personality and dedication, as well as his depth understanding of today's technology, allows Dr. Mazi and associates to offer the latest dental care to patients. His inspiration is drawn from leading a team that shares the same cause as himself. The continuous goal at Apple Dental Center is to provide our patients with the highest degree of care that addresses not only their dental needs, but also their lifestyles, financial situations and emotional needs. 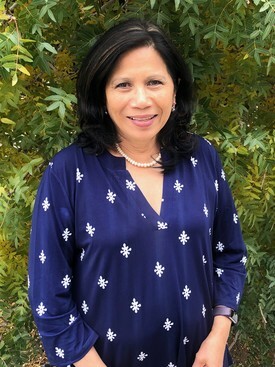 Dr. Ada Zaw joined the practice in 2013. She has been practicing dentistry in the Southern California region since 1992. She consistently provides her patients with a comprehensive plan that includes the best options for their care. Dr. Zaw’s knowledge of her dental procedures has resulted in continuous successful dental treatments and smiles. Dr. Zaw finished her D.D.S. degree from the Institute of Dental Medicine, Burma in 1974. She is fluent in English and Bermese. She is a general dentist who has completed numerous continuing education courses in advanced procedures such as aesthetic dentistiry, periodontics, endodontics, oral and maxillofacial surgery and pediatric dentistry. 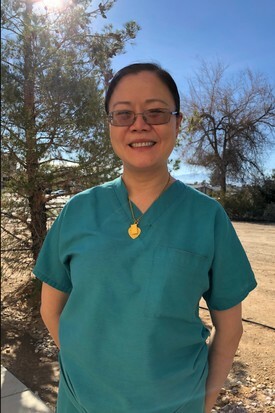 Dr. Cecilia Yang joined the practice in 2009. She has been practicing dentistry for over 11 years. She is a general dentist who takes pride in knowing that she does her absolute best for her patients every day. She is dedicated to her patients and takes the time to ensure they understand their dental health and what they can do to prevent tooth decay and damage. Dr. Yang finished her D.D.S. degree from Shanghai University in China and is fluent in English and Mandarin. She has completed numerous continuing education courses including but not limited to aesthetic dentistry, periodontics, and pediatric dentistry.